A love story between an 18-year-old girl named Sophie, cursed by a witch into an old woman's body, and a magician named Hauru. 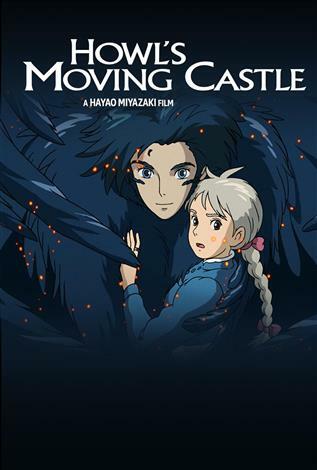 Under the curse, Sophie sets out to seek her fortune, which takes her to Hauru's strange Moving Castle. In the castle, Sophie meets Hauru's fire demon, named Calcifer. Seeing that she is under a curse, the demon makes a deal with Sophie;--if she breaks the contract he is under with Hauru, then Calcifer will lift the curse that Sophie is under, and she will return to her 18-year-old shape. English subtitled.